Idyllic hiking paths guide visitors to the Ilfis river and along its shores. At the lower course lies the town of Langnau; at 736 m above sea level, it is home to almost 10,000 inhabitants. Langnau is particularly fond of its ice hockey club, the SCL Tigers. The club won its first, and so far, only championship title in 1976. Although some years have passed since, a visit to one of their matches is definitely worthwhile – whether you are an ice hockey fan or not. If you prefer to play an active role rather than watch others on the ice, you should hop on a bike and explore the region. 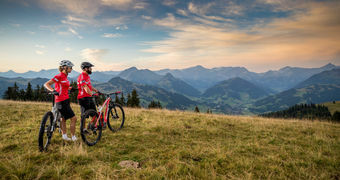 Both the Langnau Biketour and the Emmental Herzroute allow cyclists and e-bikers to soak up the beauty of the region. Langnau and its surrounding area feel like paradise for cheese lovers. On the Emmental Cheese Route or at one of the frequent tours in the cheese cellars, visitors can learn more about the manufacture and the taste of this regional delicacy. And if you ever wanted to find out more about the making of Kambly biscuits, a visit to Trubschachen should be on your to do list. The Kambly experience tour is another culinary highlight which you can enjoy while you are out on your bike. 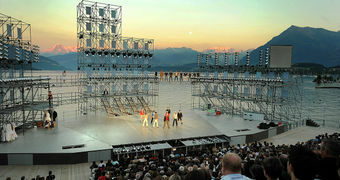 Opposites attract: this applies in particular to the varied activities on offer in and around Langnau. While music fans are captured by the rhythms of the Jazz Nights, the Comic Festival casts a spell on all cartoon fans. Nature enthusiasts might prefer the igloo at the Kemmeriboden-Bad hotel or the many guesthouses which are entirely dedicated to agritourism.